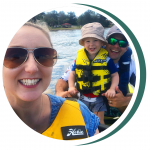 Take a look at how we changed the lives of our clients by helping them take the plunge into investment properties in Brisbane. Because at 21st Century Group Pty Ltd, it’s really about developing personal relationships, taking the time to understand your long-term goals, and doing everything we can to achieve them. We don’t just build properties, we also build a good relationship with our clients. “Throughout the entire process from start to finish, I was constantly kept abreast of the progress through emails, photos of the various stages, along with timelines of the upcoming works. Glen has built a business that is knowledgeable, professional, and well placed for investors. Last year our accountant suggested we speak with you and I took that as a good sign as he wouldn’t do anything to impact on his own clients! From that point through to final handover was a pleasant experience, including the regular updates and photos, the way your team helped us during our visit to Springfield, and your constant smile and “can do” attitude. Glen is honest courteous and extremely respectful. His patience, care and understanding won us over. From the very first day right through until the property was completed we were impressed with outstanding customer service not just from Glen but from everyone else in the company. Needless to say, we signed up with Glen for our 1st investment property in Springfield Lakes soon after. Glen delivered each stage as promised with absolutely no follow up hassle or any inconvenience on our part. Glen I would like you to know that as soon as I can I will be buying another investment property with you and the team at 21st Century Group. Around the same time, I received a call at home to meet with another company to discuss a similar project although there was no comparison to Glen and his professional manner. We cannot recommend Glen and his team highly enough! I would like to thank Glen and his team at 21st Century Property Investments. in August 2017, on the new Lend Lease development located at Yarrabilba, Queensland. Century Group, we did not need a lot of convincing, as we know for sure that this team is a team of action. They are organized, efficient and easy to communicate with. This testimonial has actually taken a lot longer to write than for us to decide on taking a second investment! (as what Glen has said). Working with Glen and his team is sweeter the second time around. We may be novices no more with investing but we wouldn’t be as brave to venture again if it wasn’t with this wonderful 21 st Century group of professionals. We just wanted to take this opportunity to firstly thank Glen and his team for their hard work, generosity, time and information during this whole process and secondly to share our story with you. We realized that we need to take some actions in order to be able to have a more secure future. Our industry super scheme won’t really cover our future expense, unless we started to invest more wisely now. Glen we love our two ‘new babies’ we love it! Love it’ We actually developed a greater bond now that we have seen our properties with our own eyes. What a great experience we had today. We are very impressed. It is more than we could have imagined. We highly appreciate it. I don’t think other company bosses would have done what you did today. You & your team always make us feel so special. Thanks for your love, honesty and commitment. Wishing you Many Blessings & Success for the Future. Stay Blessed. 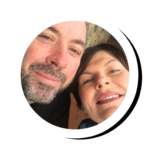 We have long wanted to get an investment property but were so reluctant to jump into it for so many reasons, until we met Glen. From the moment we met him until the day the investment property was built and up to the day we were handed over the paperwork, we were constantly impressed with superior customer service not just from him but from everyone else in the company. The whole process was so easy, we just trusted Glen and his team and our dream has become a reality. Thank you very much Glen and your team from the bottom of our hearts! I was not impressed with the additional tax I was paying during the financial year and my accountant suggested to speak to Glen who can explain how obtaining an investment property could provide me with some assistance to alleviate the pain. First of all, Rey & I would like to thank you for the guidance you’ve given us with our property investment, that is, from start to finish. I have two houses constructed by 21 st Century. The 1 st one was built in 2014 and recently another one has just been completed by 21 st Century. As an immigrant not knowing too much about Australia Taxation System, I didn’t realize that Australia’s NEGATIVE GEARING tax system would benefit me a lot financially till a spreadsheet with all the figures was shown to me by my accountant. 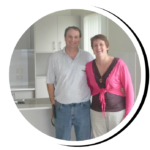 As a novice when it came to buying an investment property I was quite surprised to meet Glen. After speaking with Glen I realised that it was much easier to get into the property market than first expected. He made me feel very comfortable and explained everything very simply. He managed the process seamlessly… I couldn’t believe he made everything so simple. Working with Glen has been an absolute joy! 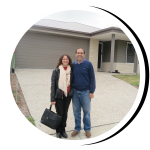 He talked us through everything from start to finish as we built our investment property in Brisbane. He has been a great communicator every step of the way, giving us confidence in his character and work ethic. We highly recommend Glen and his team; they have made this a simple and stress free experience! We had very little idea about whether or not we could afford an investment property in Brisbane. We were also wary of having to deal with property developers – especially if our property would be in a different State than the one we reside in – along with having to deal with banks. When we finally decided to test the waters, we were introduced to Glen. Glen was very thorough on the finer details of investing in a property; he allowed us to see that it could be done and wasn’t the scary financial burden we made it out to be. My Wife and I, would like to personally Thank you for taking us on our first Property Investment journey. 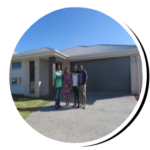 The personal attention we received from Glen and the Team at 21st Century Group made the decision and process of Investing an easy one. 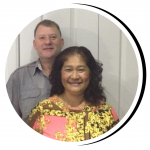 We, were looked after by Glen and the Team from the beginning including meeting Glen for the first time and till Settlement of the property and now Managing our property. 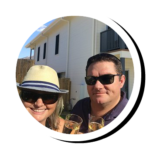 As a couple with no experience about investment properties, who had only heard about it in casual conversations and thinking that it was only for the wealthy, we certainly had our views changed when we first met Glen. 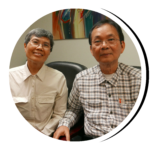 My husband and I approached Glen and 21st Century Group seeking assistance with affordable property investments in South East Qld. 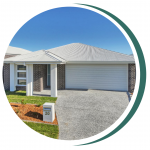 From our first meeting with Glen, his presentation of investment opportunities in Springfield Lakes, Queensland was very thorough, and Glen’s friendly manner and deep knowledge of the area was both reassuring and very professional. On our first visit to Springfield Lakes, Glen introduced us to Lorne Phillips from Lend Lease who showed us some of the blocks of land that were for sale. Glen showed us around Springfield Lakes, pointing out the community facilities and infrastructure that had already been built, and the infrastructure developments planned for the near future. I first met Glen Wambeek of 21st Century Group in early 2016. Having only just turned 25 at the time, my knowledge of property investing was quite limited, and after already meeting with several other realtors across Sydney, I found the whole experience thus far, rather daunting and confusing. Glen soon put my discomfort at rest, showing me the potential for property investment in Springfield Lakes, QLD. I was immediately intrigued by how in the last 20 years, Springfield Lakes has gone from an undisturbed bushland, to a thriving community of nearly 40,000 people; complete with schools, the Mater Hospital, University of Southern Queensland, Bunnings and Masters, and much more. In May 2016, I flew up to QLD to investigate first-hand what Springfield Lakes has to offer. Glen provided me with a guided tour of Springfield, (and complimentary brunch :)) and answered all of the questions I had. I wanted to write to you to say thanks so much for the superior customer service you have offered us from the time we were introduced to you almost 2 years ago when we were exploring whether we should purchase an investment property or not to this past weekend where you went out of your way to show us around Springfield Lakes and the extensive hospitality. We are now proud owners of our first investment property and it has just been rented out already with ease. 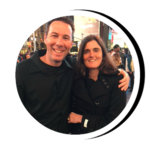 Charlotte and myself have known Glen Wambeek for some years now and when we decided the time was right to ‘explore’ investment opportunities, we did not hesitate to contact Glen. 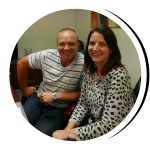 Glen made the entire process as uncomplicated as possible and dispelled any fears or concerns that we had at being first time property investors. 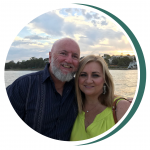 Right from our first meeting with Glen, he was able to not only showcase what his team could deliver, he was able to bring all the information that we could possibly need, as well as run through various scenarios for interest rate adjustments, etc. Any question or concern was easily explained by Glen and it immediately put our minds at ease. 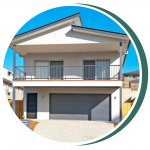 The ‘one stop shop’ package for not only the construction of our investment property, but the tenancy of our investment property made the entire process even more seamless and gave both of us great comfort that our decision was the right one. 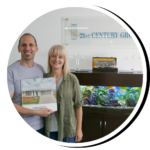 Charlotte and myself would not hesitate to recommend the 21st Century Group to anyone looking at entering into property investment. If you are looking for an easy, excellent service and peace of mind property then I would highly recommend Glen and his team. They will take your “Um’ing” and “r’ing” and “if’s and but’s” away and give you a piece of mind, time and help you save money. Glen Wambeek and 21St Century Property Investments Pty Ltd was initially recommended to us by our accountant. Recommendation also came from a work colleague, who had previously purchased an investment property in Springfield QLD from Glen and was extremely happy. 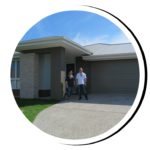 Having been referred by a friend in the building industry, my wife and I approached 21st Century Group seeking assistance with affordable Property Investments in South East Qld. A meeting was arranged with the owner of 21st Century, Glen Wambeek, at our home within the week. Glen was very professional yet humble in his approach and totally focused on ensuring all our questions were answered and that we were well educated to make a decision. Each year, for several years, upon submission of annual tax return, my husband and I would find ourselves deep in conversation with our accountant about ways we could minimise our tax bill whilst maximising the equity we had in our own home. Property investment had long been on our radar although we both felt we lacked the confidence as well as the know how to navigate this strange new world. We’d built up a good relationship with our accountant who recommended we speak to one of his colleagues, Glen Wambeek. Initially, there was lots of in principal interest. We’d find ourselves discussing ‘what ifs’ and ‘one day’….but before we knew it, another year had passed and we’d done nothing. In 2015 we left our accountant’s office, promising not to return in 2016 without having spoken to Glen. Of course we did, but it wasn’t long before we took the plunge and soon found ourselves awaiting our first meeting with Glen. It is our great pleasure to give this testimonial for Glen and his 21st Century staff. 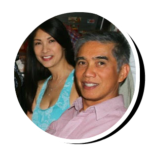 We met Glen approximately 3 years ago through our financial accountant. My wife and I are sceptical of investment peoperties / scheme. We received a lot of invitations from property investment firms. We ignored them and never attended these meetings that were held for large groups. We live in Sydney, but became interested in investing in the South-East Queensland property market because of its better affordability compare to Sydney and its future potential. 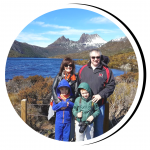 We were looking to buy in a new development to take advantage of the higher tax depreciation deductions compared to existing houses, when we got introduced to Glen Wambeek through our solicitor and our journey into the relative unknowns of interstate property investments had commenced. Glen started by clearly outlining to us the process for buying the land, constructing the house, and how his team would be managing the rental after completion. He also told us the development and the infrastructure projects planned and underway in and around Springfield Lakes, a suburb of greater Brisbane. He then invited us to come to Brisbane to select the block of land we were going to build on. He picked us up from the airport, drove us around Springfield Lakes, showing us the available blocks and some of his own constructions, so we could check out first hand the quality of their finish. He generously spent nearly his whole day with us before dropping us back to the airport. Once the purchase of our land was settled, the house construction was done efficiently and according to plan. Glen kept us updated regularly of the progress and sending photos of the building at the different stages. 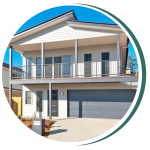 When we inspected the completed house, we were impressed with the final result: the quality of finish was excellent – we wish our own house in Sydney had been built by Glen’s team and tradesmen. There were only some minor outstanding items which were quickly addressed. Our teenage daughters liked the house so much that they wanted to move in! Glen’s property management team, Veronika and Jessica, ensured that there was a tenant lined up to move in upon handover and they also kept us well informed along the way. It has been more than a year now since we made that first step. There was some hesitation at the beginning. First was the issue with trust – a huge amount of money is going to be involved and we will be dealing with someone whom we have not met before. Second was the issue with ignorance – we were novices in the field of investment. INVESTMENT, BIG word, frightening for a newbie, a challenge for the brave. And we chose to be brave. Looking back, it was one of the best decisions we have ever made as a couple. This could not have been possible without the guidance and perseverance of Mr Glen Wambeek. He explained everything in detail and used simple terms. He was an excellent sales person and businessman. But beyond that, we felt his sincerity in helping us in every step. He also made every effort for us to feel that he really meant business and that our hard earned money would not go down the drain to a bad investment. Considering the property was interstate, he has made us feel that we were involved in every stage of the building process. The house was impressive and the location was perfect. We were also really impressed on how quick the house was rented out. True enough; 8 months on since the turnover of the property, Glen’s team has not failed us. Glen has not cut his ties with us be it through emails or updates. And for us, this is reassuring that he and his team is just there, anytime. This has been a journey that began with a single step, built with trust and continues to grow. Here’s to more future endeavors with 21st Century Group. Cheers! For a long while we wanted to have an investment property but we did not know anything on how it works and more importantly where to start. Besides we heard horror stories of dodgy operators that every offer ‘to help’ was met with skepticism and distrust until our accountant Mike Alvarez introduced us to Glenn Wambeek of 21st Century Group. Immediately after our first meeting, we knew we found the person we could trust. It was so easy to warm up to him – a huge huggly teddy bear with a winning smile, he has an amiable disarming personality. 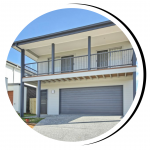 Moreover, it was apparent that Glenn is equipped with extensive experience in property development in Queensland that added to his professionalism and honesty. We approve of how accommodating he conducted himself, showing patience and answering our every question and concern on property investment. With passion and excitement, Glenn gave us a guided tour of the Southwestern Queensland growth area outlining the ongoing developments and future plans that underline investment decisions. He generously picked us up from the airport and made sure we were well fed, had a good and enjoyable time including photo opps of scenic spots in Brisbane on the way to viewing several properties on offer. What was remarkable was that we were never pressured to make a quick or haphazard decision. We were given enough time to assess and think things over, get independent advice and look carefully whether or not a property venture would be to our best interest. During construction we were constantly updated on the progress of the work by providing photographs at every stage of the process as well as development in and around the area such as the new school, shopping centre, hospital, etc. Getting an investment property rented was one of our major concerns. 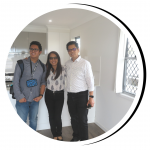 With Glenn and his team of property managers Veronica and Jessica who provided professional and personalised service, we were confident that vacancy was not a problem. Glen even offered to rent it himself which was not necessary as his team already had found a tenant. Yes, with Glenn’s extensive experience and expertise from land acquisition, building construction and property management our first property investment venture was a walk in the park. 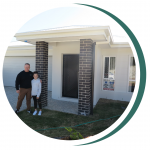 I would like to take the opportunity to sincerely thank Glen and his staff for helping us get our investment property in Springfield Lakes, Qld. Glen took the whole process in his hands and left nothing for us to worry about. It was indeed seamless and transparent. Glen kept us informed on the next steps and provided with photographs of the whole construction stages. Glen provided us with extensive coverage and commentary about Springfield Lakes. He organised us to be picked up from Brisbane Airport and showed us the schools, Orion shopping centre, sports and community facilities and the infrastructures. 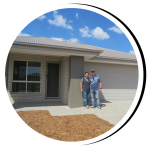 When the construction was complete Glen also arranged management of our property and introduced us to specialists to look after the rental. 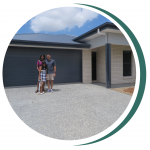 On handover Glen had a pack ready for us with all the certificates and depreciation schedule for the property.We also received a coloured photo book with the photographs of our investment property. I was blown away when Glen said he will still be the point of contact for all future enquiries and needs. Glen is a true professional and man of his words. We specifically chose 21st Century Group for their commitment to personal service and we found a company who was more than happy to respond to our questions, no matter how big or small. Family and friends thought we were mad to leave the building of our investments without personally being on site to follow up on the progress, but we had faith in Glen and the process he explained to us. Glen and 21st Century Group went out of their way to accommodate our hectic schedules which is important as we both have kids and full time work. 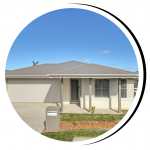 This is our 3rd investment property with Glen at 21st Century Property Investments, we have two in Springfield Lakes and this one is in Yarrabilba. Glen and his team are always very professional and nothing is ever a problem, it’s good to know if we have any questions you can call Glen or his team and they will answer them. I would highly recommend Glen to anyone who is thinking of getting an Investment Property. I like they way Glen and his team will send us photos every step of the way and let us know what thing will be done, like the other investment properties this one had a tenant just after completion. Now with 21st Century moving into property management it has made our purchase even more satisfying knowing that it will be looked after the way it should be. Thank you Glen and you team. We would like to express our gratitude, to Glen & his team at 21st Century Property Investments. 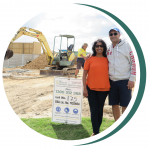 They completed the building of our second investment property, purchased through them, in February 2016, in the new Lend Lease development, at Yarrabilba Queensland. Again, the experience was all very pleasant and smooth, with Glen only too happy, to handle any questions, promptly as they arose. He makes it all so easy. 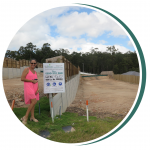 He also continues to give us support, on all matters to do with our first property, at Springfield Lakes Queensland that was completed in December 2011. Glen always seems willing, to go the extra mile, to assist when it’s needed. 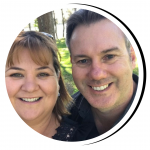 On a further note, Glen has recently introduced his management company, 21st Century Boutique Properties Pty Ltd and we were one of the first to sign up our properties. This proved to be a very smooth transition and we continue to get great service from his dedicated property managers. We highly recommend the services of Glen, 21st Century Property Investments and 21st Century Boutique Properties Pty Ltd to anyone contemplating using them. We met Glen through a recommendation from our accountant after expressing an interest in investigating investment properties. We are new to investments and knew next to nothing about most of the ins and outs of the market and potentials, and so going in we were extremely wary of being taken advantage of. We needn’t have worried. Glen was honest, up front, accommodating and completely available for every question or detail we needed answered. He arranged time that worked around our hectic schedules, walked us through the entire development region of Springfield lakes; initially virtually and then physically when we went up to view the region with our own eyes. The photos and articles do not remotely lie; it is an incredibly well thought out and beautiful development. He helped us to project the monetary figures involved as well and frankly told us the extent and limitations of our financial situation. The whole process from beginning to end was streamlined, professional and simple. From the plans, to the colour palates of the interior, to the façade options- the design options were easy and beautifully modern. Glen organised all the council paperwork and legalities for us and construction took even less time than he had predicted when quoting us. 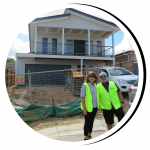 Before construction was even finished, the lovely ladies at 21st Century Boutique Properties Pty Ltd, our property managers, had a long term tenant lined up to move in- deposit and all. From the beginning till now, every step has been an absolute breeze in what should have been a very convoluted process. 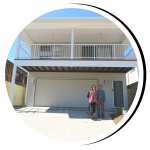 They have gone above and beyond to make sure not only that we understood and were comfortable with each stage, but followed through on absolutely every promise made; so much so that we are now considering a second investment property with them. I cannot recommend anyone more highly than Glen and his team. This letter is to advise of our dealings with Glen Wambeek and his team at 21st Century Property Investments. We had long been considering an investment property but had not done anything about it. We were then put in touch with Glen and straight from our first meeting with him we were put at ease to any of our concerns. Upon our decision to proceed, Glen helped us through every step of the initial set up and then kept us well informed as the building work proceeded. 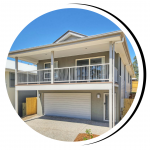 When construction had been completed Glen put us in touch with a property manager who had tenants into the property as soon as the construction had finished and have been of great assistance to us. He has a great passion for the Springfield district and regularly sends through updates about new developments in the area. 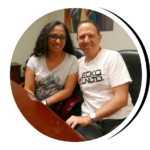 We have found Glen to be professional and courteous during our dealings wand have no hesitancy in recommending his services to anyone seeking an investment property. After procrastinating for almost 15 years before “jumping in” to our first investment property with Glen in 2014, we are so glad we did. The whole process was simple and well explained, and Glen and his team guided us expertly through the whole process. If left to our own devices, I’m sure we would still be looking for that “just right” investment property and we probably would have developed ulcers worrying about what we’re doing. We can now happily say that our first investment property has out-performed not only our own expectations but has also performed better than what was originally outlined to us. So much, so that we had no hesitation in investing in a second property through Glen early last year. Yet again the process was very straight forward and simple, Glen, his team and his contacts all worked efficiently together to help us get the funding, purchase the land and complete construction on time for the price he guaranteed. Again, using his newly appointed and recommended property managers, Glen ensured that the property was let as soon as possible after construction was complete. Having been through the process once before, we found this second property required even less effort from us than the first. We now have solid tenants and this property also seems to be performing well for us. By all means do your own due diligence, check property values and have a look around, but we don’t think you would do any better than what Glen is offering. His product is first class and his ethics are unquestionable. We would certainly recommend Glen if you’re considering purchasing an investment property, as he takes all the complication out of the process and ensures that you end up with a quality investment which will perform as good as or better than any other property investment you could make. It is nearly twelve months since you completed our property and opened the doors for us to the exciting world of investing. We would like to thank you, your staff and your property managers for making the whole process seamless, transparent and stress-free. Your professionalism and enthusiasm has us looking forward to our next investment. I’d like to take this opportunity to thank you for your assistance and cooperation in building our new investment home at Springfield Lakes. I admit to being a bit suspicious over the promises being made when we first met but I am pleased to say my fears turned out to be unfounded. You answered all the questions I posed and from the time we visited Queensland to look at the land available you delivered on everything promised, including having tenants ready to move in at handover. When we inspected the house at that time we could not fault the workmanship and thus far, our tenants have not asked for anything to be remedied. I wouldn’t hesitate recommending you and your company to anyone wishing to build a house, whether for investment or personal use. Thanks again for everything. I just wanted to extend a big Thank You in regards to all your work in bringing the building (and rental) of 9 Gelu Court to conclusion. You kept me well informed along the course of the process, were prompt and helpful in all of your correspondence. The process was a pleasure. I was also very pleasantly surprised to receive the depreciation report. I had planned to arrange this separately and it was a wonderful surprise that you had already completed this step. 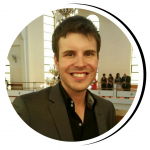 We would like to begin by saying thank you to Glen Wambeek for helping us to take the next step in building our portfolio and making it so easy. Investing in real estate has always been something that we wanted to do, but we have always been very cautious and wary of schemes out there, which declare it’s so easy to build your wealth with real estate. Over the years we have read books on developing an investment portfolio and knew that it was a good direction to go in to prepare for retirement, but we weren’t really sure where to begin. Then we met Glen. He made it all sound so easy! He provided information on all the things we weren’t sure about, like the biggest question – location: choosing the right area. He helped us through every step of the way – from organising finance to choosing building sites, colour schemes, right through to arranging an agent to manage the property. It is so simple when you have someone working with you and leading the way. The hardest thing we had to do was to reply to emails with our choice of internal and external colours. Within a week after completion we were introduced to a managing agent who took care of finding tenants for us. The process was all so easy. The only thing we regret is not having met Glen ten years ago, imagine what we could have accomplished by now. We have no hesitation in recommending Glen Wambeek to anyone thinking about setting up an investment property. 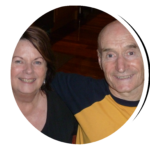 My husband and I were referred to Glen by my parents who have been clients of his for a number of years. My parents had to talk me into meeting with Glen. At the time we had only just been throwing around the idea of buying an investment property. But after speaking with Glen we made the decision to jump in and build a property in Springfield Lakes. I can honestly say it was one of the best decisions we’ve ever made. Glen guided us through the whole process and made him-self available to chat whenever we needed it, no matter how random the call was. At one point I called and asked him to direct us to where our block was, and he did, from his office at Parramatta. 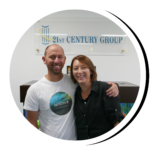 It has been a great experience dealing with Glen and his team, if anyone is thinking about investing in property we would highly recommend 21st Century Group. So far we have three investment properties built by glen’s company. We purchased our first investment property through Glen in 2003 at Forest Lakes. The 2nd property in 2012 and this year we have purchased a 3rd property at Springfield Lakes. Right from the beginning Glen came to our house to explain the process of purchasing n investment property. We went to Qld to pick a plot of land for the first 2 properties. By the time we were ready to purchase the third house we just left it up to Glen as Glen has never let us down. The Springfield Lakes area is amazing with a huge amount of potential growth. After many months of independently looking for an Investment property, our Accountant introduced us to Glen. With some scepticism we attended the initial meeting without knowing too much about Glen and his expertise. Glen provided us with a very clear picture and sound reasoning that convinced us to visit Springfield Lakes and see for ourselves the potential opportunities in a vastly developing area. The rest is now history as we are proud owners of an investment property. Glen took us through potential parcels of land and provided us with Home design options. The whole process was so easy and seamless and before we knew it construction was under way. Glen was ALWAYS available to provide us with guidance and advice and kept us continuously informed about progress. Glen continues to provide us with regular updates about the Springfield Lakes area and it is exciting to see the development and potential. What a wonderful experience it has been and we have no hesitation of recommending Glen and his team to anyone considering an investment in residential properties. Glen delivers exactly what Glen promises. Ric’s initial introduction to Glen was almost 15 years ago to discuss an investment property on advice from our accountant. What Glen presented sounded logical and made a lot of sense, but the sceptic in Ric made him think there was a catch. We knew we needed to do something but Ric thought that we could simply do it “better” ourselves by researching different property and financing options. Trouble was, that we kept “thinking” this for a number of years and didn’t take any action. While we did look at plenty of other options and got Glen back on a number of occasions over the years to talk to us and re-visit the numbers, we didn’t come up with anything that seemed better without significant increased risk and speculation. Investment properties…..not for us so we thought! Then introducing Glen Wambeek, 21st Century Property Investments Pty Ltd., and the hardest thing we had to do was picking a colour palate.We have known Glen for over 7 years now, the first 5 years we met a couple of times and John and I being people who do not take risks, said we would think about an investment property. Well, let me tell you I only wished we had taken the step 7 years ago. 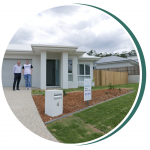 We are now the proud owners of an investment property for the past 18 months and it couldn’t be easier.Glen, John and I sat down to talk about owning an investment property and I only had one statement to Glen, “I do not want to do a thing, I am very time poor due to my very demanding job”. I also said that I do not want to spend my time paying rate notices and looking after an investment property…in comes Glen, “you will not have to do a thing expect choose your colours”, and true to his word that’s all we had to do. We are thrilled with our investment; the property agent that Glen introduced us to is fantastic. We have great tenants and we hardly ever have to think about the property except for the smile on our faces when our statement is emailed to us every month. In a nutshell, Glen takes care of everything. We totally trust Glen as he knows the investment business, and we are so pleased to have taken this step. For anyone thinking about investing in property, Glen Wambeek will be your solution to investing in the future. Glen, we thank you for your excellent advice and all your help. We once again wish to express our gratitude, to Glen & his team at 21st Century Property Investments. 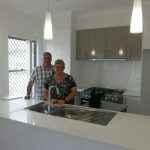 They completed the building of our second investment property, purchased through them, in April 2014, in the new Lend Lease development, at Yarrabilba Queensland. Once again, the experience was all very pleasant and smooth, with Glen only too happy, to handle any questions or queries, promptly as they arose. He makes it all so easy. He also continues to give us support, on all matters to do with our first property, at Springfield Lakes Queensland that was completed in December 2011. Glen always seems willing, to go the extra mile, to assist when it’s needed. We highly recommend the services of Glen & 21st Century Property Investments to anyone contemplating using them. Very satisfied customers, Paul & Laurel Wilde. I would like to thank Glen and his staff for all of their assistance in building my first investment property at Springfield Lakes. Right from the beginning Glen guided me through the process of the build, providing help and support when required. I could call or email Glen at anytime and he would always get back to me straight away. He provided multiple sets of colour swatches for the internal an external items for me to choose from. Throughout the build Glen provided regular updates and photos of the progress of the house. Not long before the build was complete, Glen put me in touch with a real estate that could manage the property. All of the details to rent the house out were sorted before the house was completed. Upon completion of the house photos were taken and the house was advertised. I had a tennant straight away and the house was rented at the price that Glen had advised I would get when we first spoke. I am very happy with the real estate as they always contact me if there are changes in tennant status, or any other queries regarding the property. Just before the tennants moved in I flew over to inspect the house. Glen was an excellent host picking me up from the airport, taking me to see my house and the surrounding suburb of Springfield including the new business park, train lines and all of the new development in the area. Glen also arranged for the real estate agent to meet us at my house so I could put a face to a name and finalise the rental paperwork. Glen has a great deal of enthusiasm for Springfield Lakes and after visiting the suburb I can understand why. In my last meeting with Glen he provided me with a folder and USB amongst other things which contained copies of the relevant paperwork that I would need to keep for my own personal records. I was most impressed when Glen provided me with a photo book which contained photos of my house from start to finish. 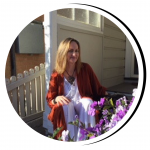 Glen advised me that even though the house was complete, if I needed to contact him regarding the house or had any concerns regarding the real estate managing the property that I should not hesitate to call him. I still receive updates from Glen on the progress of Springfield Lakes and new developments. Once again I would like to say thankyou to Glen for all of your hard work and assistance which made the whole process run smoothly. I would highly recommend Glen and 21st Century Property Investments. My accountant David Keddie referred me to Glen. Glen made me feel comfortable after the first meeting and thoroughly explained the process of choosing a property. Glen’s knowledge, enthusiasm, assistance and service have been of a high quality. He is been always available to answer questions and provide support. The process has been easy with Glen assisting at every step of the way. 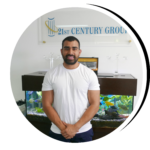 I would thoroughly recommend Glen and the services of 21 Century Group to anyone and would like to personally thank Glen for all the support he has provided in getting me my first investment property. 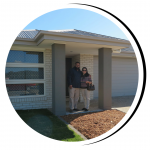 We were referred to Glen by our accountant when we were thinking of buying an investment property. 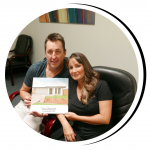 Despite some initial reservations, Glen showed us what the possibilities were and made us feel more comfortable with a decision to go ahead and build a brand new home that could be used as an investment property. Glen introduced us to a new development near Brisbane called Springfield Lakes. Having been working in the area for some years, he knows it very well and was able to suggest several suitable properties to us and we decided on a good block on which we could build a four bedroom house. Right from the start Glen guided us through the process, which as novices was a great help. He helped us with the choice of house and everything associated right through to the colour scheme, and during the building process, kept us up to date with progress photos. It really was a painless process. Upon completion we were introduced to a local real estate agent who would become our agent. They quickly found us tenants for were willing to pay the rent that Glen said that we would be able to attain. The communication with our agent who keeps us up to date with what’s happening with our property has been very good thus far. Glen also provided regular updates on what is happening in the Springfield Lakes area and it is exciting seeing this new development happening that will only enhance the value of the area.All in all it has been a great experience dealing with Glen and his team and if anyone is thinking about investing in property (after seeking the appropriate advice); we would highly recommend 21st Century Group. I would like to thank Glen for all the help and support he has provided in getting me my first investment property at Springfield Lakes. 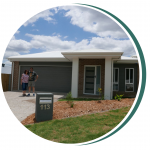 I first heard of Glen and 21st Century from a work colleague and friend who had recently bought an investment property with Glen at Springfield Lakes and highly recommended to me that I do the same. Since I made the decision to get an investment property for tax reasons, Glen has been there the whole way, providing help and support when needed. Anytime I had an issue or question, I could call Glen anytime and he would always get back to me straight away. I had one issue with my bank, who had undervalued the land and property, which raised some concerns for me. So I called Glen who explained that the bank’s valuers are unreliable, as they compare to other properties which are not similar and often undervalue so they have less risk. He also went the extra effort to reassure me and provided valuations of similar properties which he had built in the area. Happy with Glen’s assurances I went ahead with the property and have been pleased how easy it was to see the house built. Glen regularly provided photos and kept in touch through the whole process. As soon as the House was completed, I had a tenant in there straight away at exactly the weekly rent that Glen had promised I would get since the first meeting. I also went up to inspect the property soon after it was completed and Glen was a great host and picked us up from the airport and showed us the whole town and not just our property. Glen’s enthusiasm for Springfield Lakes is justified as it is a great area with lots of potential and I’m looking forward to seeing my Tax accountant next year to reap the benefits! Once again, thanks Glen for your hard work and always making yourself available to address my concerns. 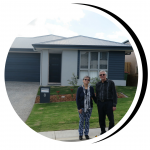 Thank you so much for all your assistance in helping Sandra and I complete our second investment property with 21st Century Property Investments. Time certainly flies by and just 2 years after completing our first investment property with you we commenced on our second. We really appreciated your assistance in finding a suitable block and proposing a house design to suit. 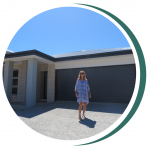 We were both delighted as we followed the progress of our property and were so happy when we recently visited Springfield Lakes to view the finished product. You can imagine our delight as the house was advertised near completion and a tenant secured within the week!!! The property is very impressive, even other property agents were contacting us advising they had potential tenants for us too. For those reading this letter, we can highly recommend Glen and his team if you are considering an investment property. Glen will take the time to show you options and provide a guiding light into the world of investment property. His knowledge, attention to detail and service ethic is second to none. Many thanks again for all your help Glen, it really is appreciated. It is indeed an absolute pleasure to again write a testimonial for the outstanding service and products received from Mr. Glen Wambeek and his team from 21st Century Property Investments. This has been our third opportunity to provide testimony for 21st Century Property Investments and just like our first and second encounters, the third time through was every bit as professional and without fuss or stress. In 2001 we took the plunge and heeded some very good advice from our accountant to invest in real estate to grow wealth and minimize our tax liability. 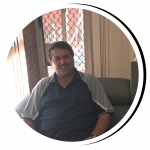 Also on our accountant’s recommendation we contacted Glen Wambeek and from the very first meeting with Glen we were made to feel like family and were treated as such and not just a client. That was eleven years ago now and it has worked out sensationally for us. Every word, every promise and every bit of advice from Glen and his magnificent team has been followed through without fuss. 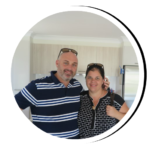 After our first experience with 21st Century Property Investments was so positive we had no hesitation in placing the call to Glen Wambeek for our second and now our third investment property. Each time the service and products has kept getting better and better, not that their was anything wrong in the first place, it is Glenn’s personal and the company’s commitment to service that continually looks at ways to provide value to their clients. The ease of the process and professional attention we received from Glen and his team is simply the best you can expect to and will find anywhere in the business. Our dealings with 21st Century Property Investments and in particular the very personal way we are treated by Mr. Glen Wambeek throughout the entire process has delighted us no end and we would enthusiastically recommend Glen and his team to anybody contemplating making an investment in the property market. We are more than happy to avail ourselves for verbal references should the reader of this testimonial require one. Thank you 21st Century Property Investments and thank you Glen Wambeek for all your assistance and making our most recent investment one of the most stress free procedures we could ever experience. Thank you Glenn for being more than just a businessman. You honor your word with such integrity and the way you have treated us makes us proud to be associated with you and to call you a true friend. Our accountant recommended Glen to us and being our first investment property we were cautious. Glen took the time to explain the detail and the benefits. He even warned us that the hardest part of the process would be the Bank. I hate to say it but he was right. Right from our very first trip to Springfield Lakes, Glen’s passion and belief in his product was evident. We spent a lovely day being shown the highlights of the Springfield Lakes area, a selection of the houses that 21st Century builds and a selection of hand picked blocks of land. Glen had a vision and I am happy top say that the vision proved reality when Glen showed us the finished product we purchased. Glen was always available to answer questions, which really helped as we had lots of them. He promised we would have tenants ready to move in on completion – right again. Glen and his team at 21st Century were magnificent and could not have been more helpful. Several of our friends have commented on how easy it seemed for us and will consider 21st Century when they decide they are ready for their next investment. Design by Jan Virgil Fredrich Tiangco Valenzuela.